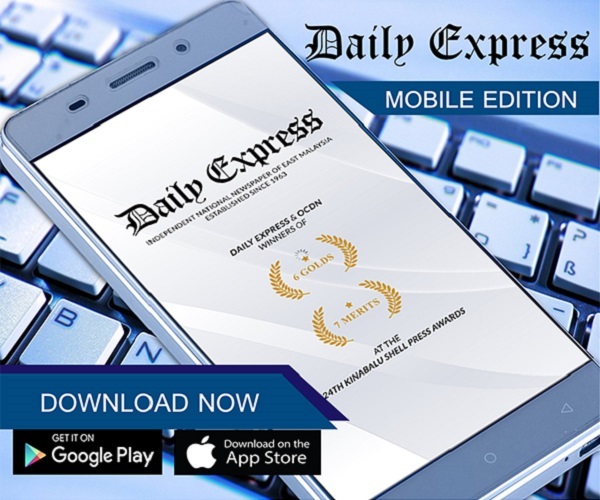 Opening of Czech Honorary Consulate boon to Sabah: Musa | Daily Express Online, Sabah, Malaysia. 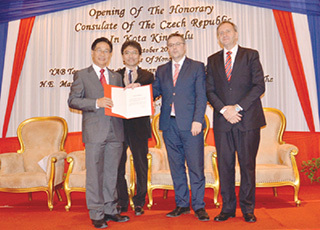 Kota Kinabalu: Chief Minister Tan Sri Musa Aman said the opening of the Honorary Consulate of the Czech Republic in Kota Kinabalu is timely as it will strengthen the relationship and interaction between Czechs and Sabahans.He said this was more so as Sabah has undergone tremendous development in the past few years. "We have seen an increase in foreign tourist arrivals, robust economic and business activities particularly in the areas of infrastructure development, downstream processing of palm oil, renewable energy and more recently green technologies," he said at the launching of Czech Republic Honorary Consulate in the State at a hotel here on Saturday (pic). He said Sabah can also explore the possibility of collaboration with the Czech Republic in the field of green technology, alternative energy sources, water and waste management, as well as advanced technologies for agriculture and food processing. His speech was delivered by Deputy Chief Minister Datuk Seri Raymond Tan Shu Kiah, who is also Minister of Industrial Development. "I am pleased to learn from Deputy Foreign Minister Martin Tlapa that the Czech Republic is strong in the fields of green technology, alternative energy sources, water and waste management, as well as advanced technologies for agriculture and food processing. "These are all relevant sectors which Sabah is interested in and we can explore the possibility of collaboration between Czech and Sabah companies in these sectors. 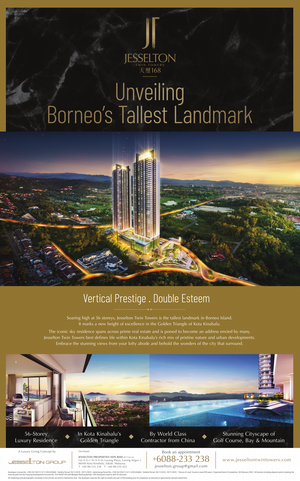 "The setting up of the Honorary Consulate will facilitate and boost such ventures," said Musa. He noted that Czech Republic is a country rich culture and tradition and said that with the setting up of the Honorary Consulate, there will be more opportunities for cultural exchanges. "I am looking forward to more interaction between the Czech people and our Sabahans. I believe this will foster better understanding between our people and in a small but significant way contribute to world peace and international understanding," said Musa in welcoming His Excellency Martin Tlapa and his entourage to the State. "I wish the newly launched Honorary Consulate every success and to achieve fruitful results in the near future," he said.